Made with soft brushed denim, these high-rise skinny ankle jeans have an ultra comfortable fit. 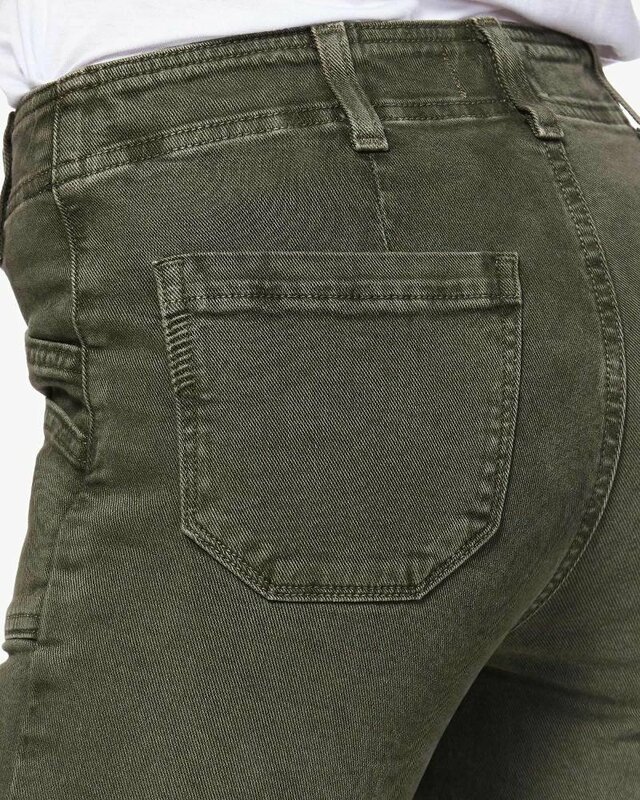 Flattering in shape and relaxed at the waist, this jean is equipped with double front pockets and belt loops. 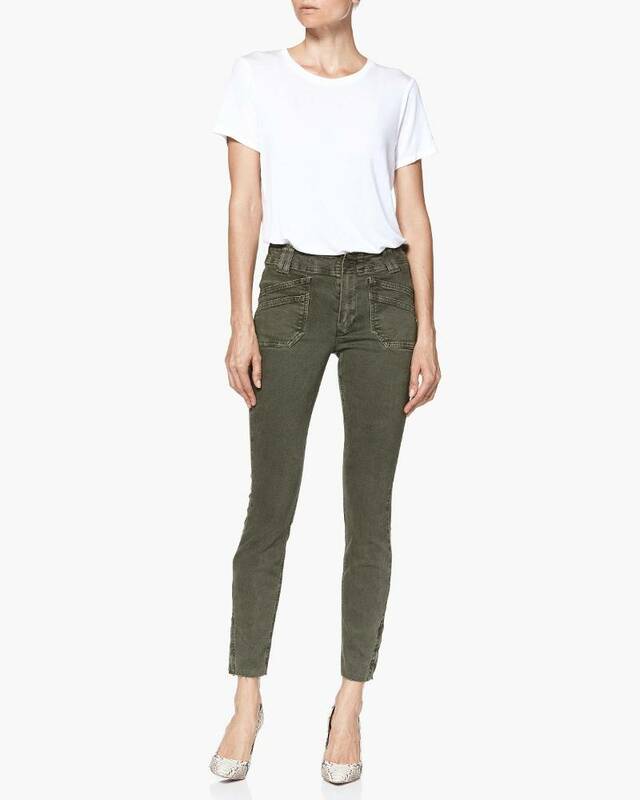 This pair is washed in a vintage-inspired hue accented with raw hems and side ankle zippers for a modern take on the utilitarian pant.